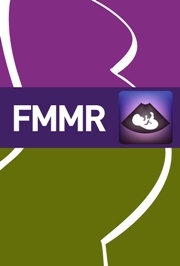 Fetal and Maternal Medicine Review publishes high quality reviews drawn from all relevant disciplines in this rapidly expanding field. Each issue includes a selection of clinical and research reviews from experts in the field. Rapid publication and a deliberate preference for authors currently active in research ensures this journal has immediate relevance to contemporary clinical practice. Subject areas covered include fetal medicine, maternal medicine, neonatology, obstetric anaesthesia, epidemiology and basic science. It is essential reading for all engaged in the care of pregnant women and neonates including obstetricians and neonatologists, postgraduates training for specialist careers, specialist nursing and midwifery staff.